His legs are artificial, but his unrelenting grit is genuine. 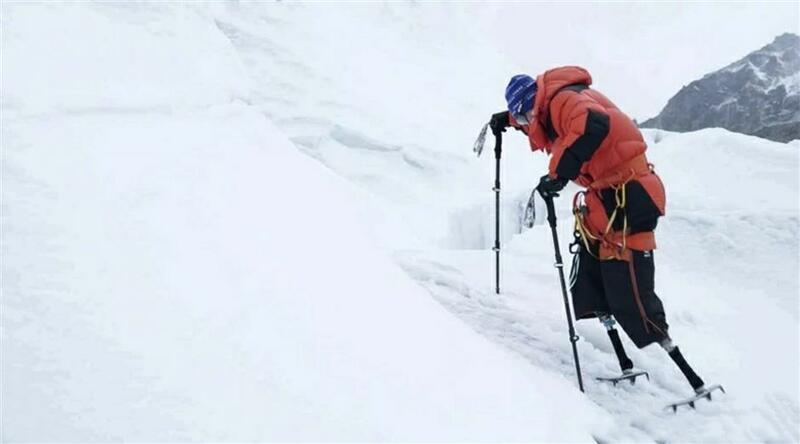 After four unsuccessful tries to reach the summit of Mt Everest, a disabled Chinese man stood at the top of the world. 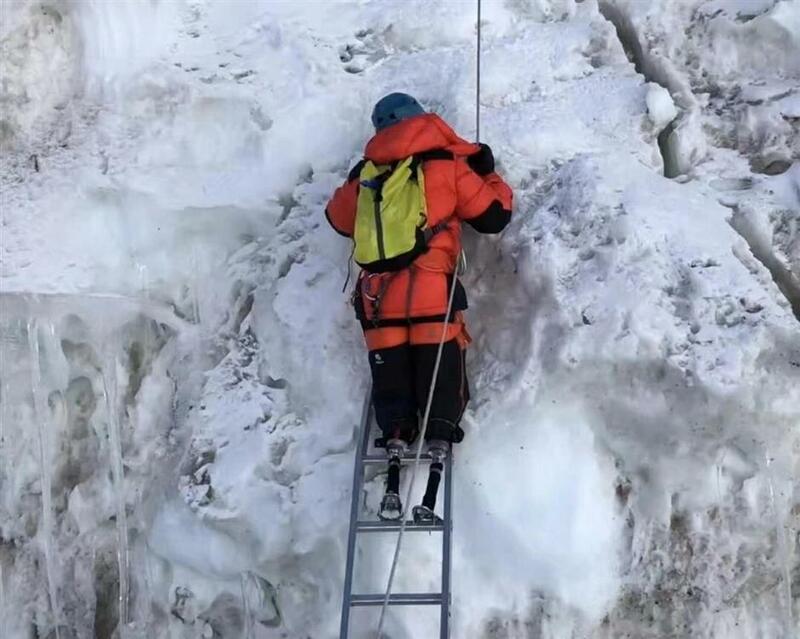 In an extraordinary feat of mind over matter in May, 69-year-old Xia Boyu became the first Chinese and only the second double-amputee in the world to scale Mount Everest. The triumph of man versus mountain. Forty-four years ago, it was a different story. In 1974, Xia was a member of a Chinese climbing team trying to conquer the world’s tallest peak. A storm struck in the “death zone” above 8,000 meters, and Xia suffered severe frostbite. Both his feet had to be amputated, and years later, he lost both his lower legs to cancer. The tragedy might have defeated a lesser man, but Xia was determined to challenge fate. He tried three more times, unsuccessfully, to reach the summit of the mountain, which the Chinese call Qomolangma. Then came his triumphant fifth attempt in May. “After 40 years, the mountain finally accepted me,” he told the media after his feat. Xia tells his remarkable tale to a Shanghai audience. 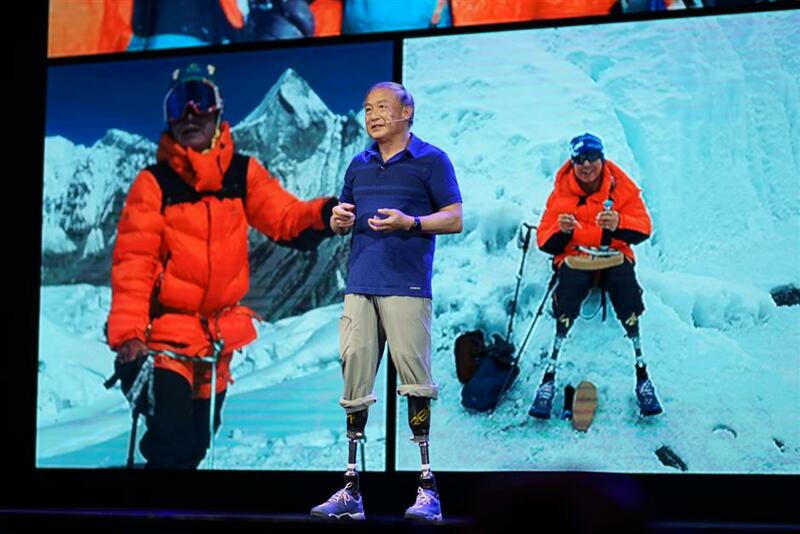 Xia, who was born in Chongqing and grew up in Qinghai Province, has been traveling around China since his remarkable feat, sharing with audiences the details of a quest that made him the oldest Chinese man ever to scale the Everest. Last weekend he was in Shanghai to give a talk at a seminar held by Zaojiu, considered the Chinese version of TED, on advanced technologies organized by a company in China. His lifetime quest began in 1974, when Xia applied to become part of a Chinese national mountaineering team because it meant he could get a free health checkup. He had little idea about mountain climbing and no idea that Everest would loom so large in his life over nearly the next half century. Quite to his surprise, was chosen and assigned to a 20-member team designated to climb Mt Everest. “I was excited because it was only the second time a Chinese team tried to scale the peak,” Xia says. But the quest was hampered by poor equipment and faulty weather forecasts. 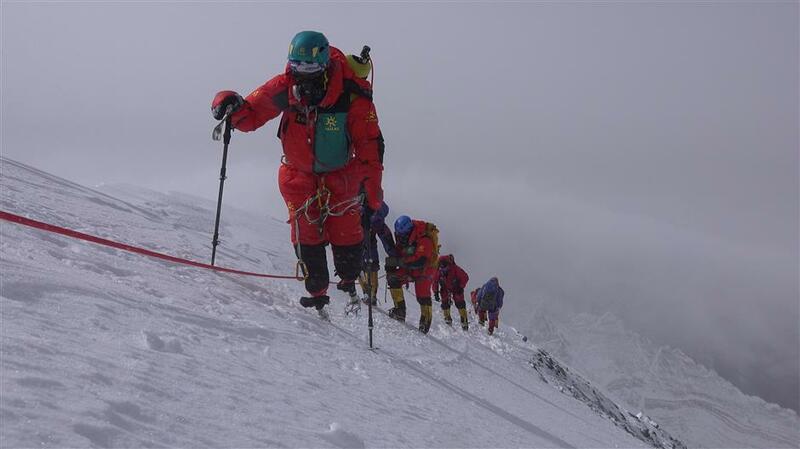 Xia Boyu (front) braves the fierce weather on the hard trek to the summit of Mount Everest. The team managed to scale 8,600 meters of the 8,848-meter mountain when a storm moved in, stranding them for three nights. With food and fuel exhausted, they decided to descend. During the descent, one of the climbers lost his sleeping bag. 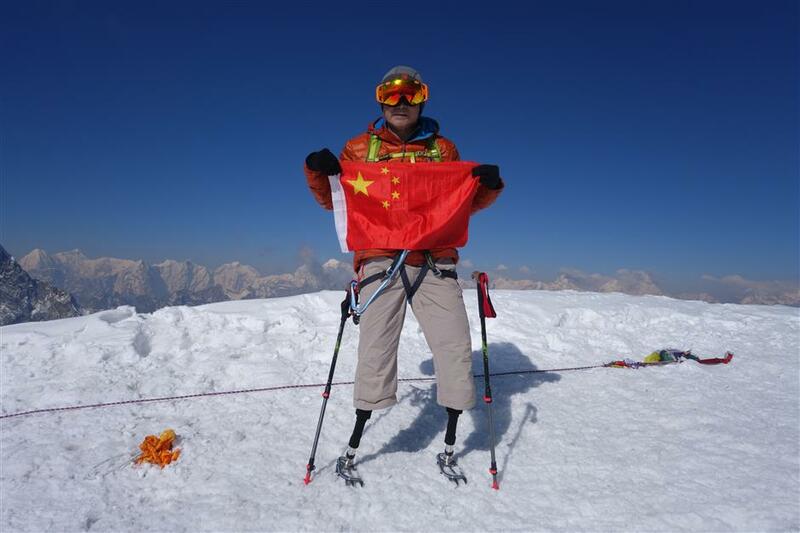 Xia gave up his own to his climbing mate and slept at minus 35 degrees Celsius at an elevation of 7,600 meters. “I was known for my excellent health and ability to withstand cold,” he says of the sacrifice. Those limits were tested. When the team descended to 6,500 meters, Xia lost all feeling in his feet, which turned purple, then black. He was only 26 at that time. A Germany expert told Xia that he could have artificial limbs that would allow him to live a normal life and perhaps even go mountain-climbing again. 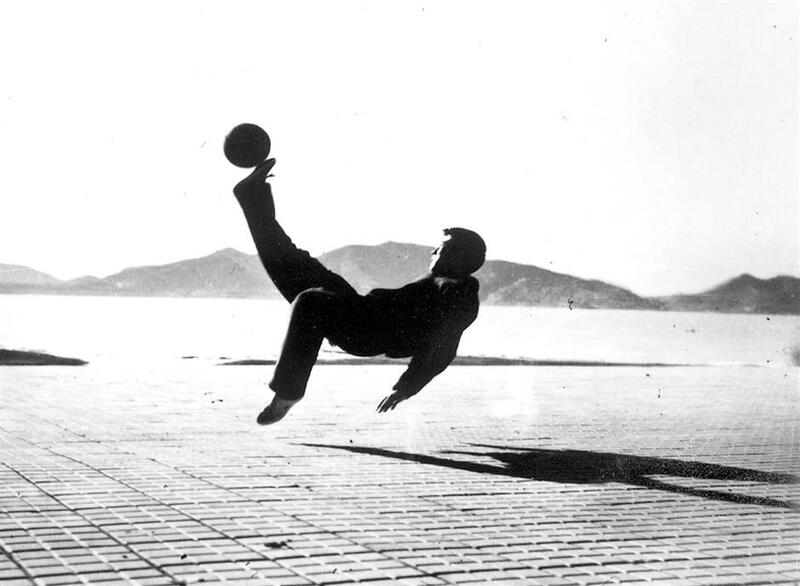 In training, Xia practices soccer. He waited for three years in Beijing before getting his artificial limbs. In the run up, he did strenuous exercises to prepare his body to walk again. Once the prosthetic limbs were attached, he climbed the Fragrant Hills west of the capital every day. In 1996, Xia was diagnosed with advanced lymphoma. He had to have his legs amputated again, this time up to the knee. His doctors warned him to give up mountain climbing. 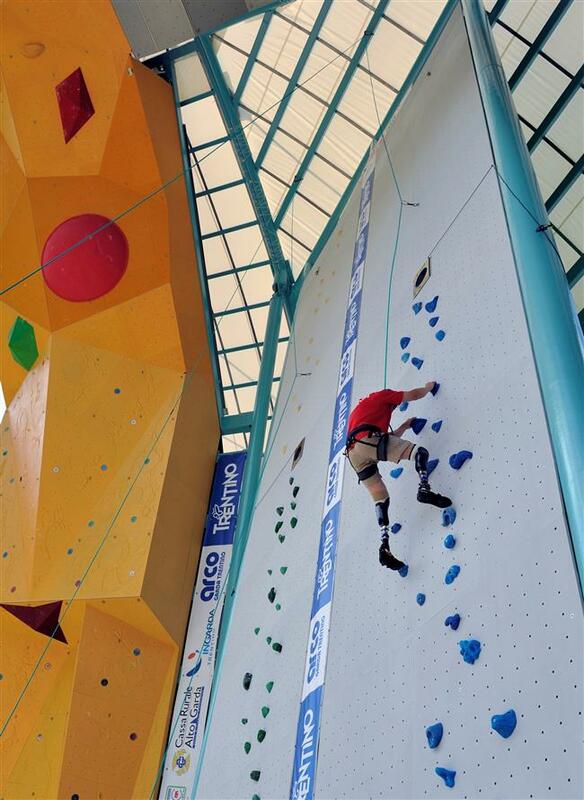 In 2011, the world’s first rock-climbing championship for disabled people was held in Italy. Despite his age, Xia won two gold medals. That bolstered his determination to conquer the Everest. His 2014 was really a test of his ability to endure with artificial limbs. But when he reached base camp, an avalanche on the south side of the mountain killed 16 Sherpa guides. 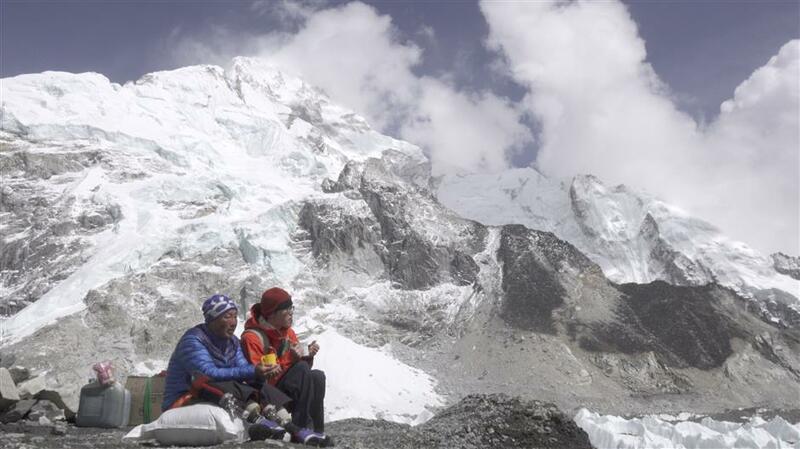 The Nepalese government canceled all climbing activity on the mountain that year, so Xia he had to return home. The next year, as he was making his third attempt at the mountain, an 8.1-magnitude earthquake in Nepal, triggering an avalanche that killed an entire mountaineering team of 22 people. Xia escaped the disaster because his tent was at the end of the shock wave. In 2016, Xia’s attempt to scale Mt Everest ended in a heartbreaker. He was forced to turn back only 94 meters from the summit when a fierce snowstorm materialized. He later learned that six climbers who were bent on braving the storm died. 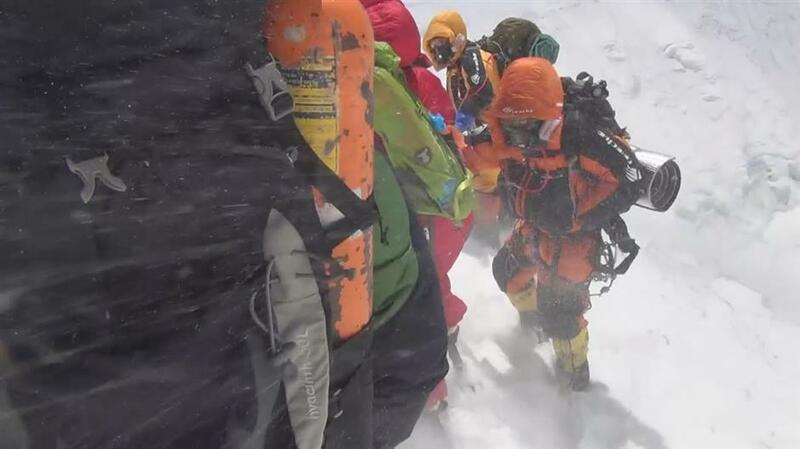 A fierce snowstorm prevented Xia from reaching the summit in 2016. Undaunted by the adversities of weather, Xia spent 2016 building up his strength for another try. Just as he was preparing to begin his fifth journey to Nepal, he heard the news that the government there decided to ban the blind and double amputees from climbing the mountain. Xia and his team contacted other climbers affected by the ban. They all appealed to human rights organizations to try to get the ban overturned. After several lawsuits, the supreme court of Nepal suspended the ban in March, 2018, clearing the first obstacle to Xia’s fifth attempt for the summit. Before his departure, his wife bought a calabash, used as an amulet in traditional Chinese culture, with the words “return safely” written inside. He says he plans to go on a motoring tour with his wife in the near future. His speech last week was part of a larger seminar on the future of technology. Xia says he hopes technology will improve artificial limbs for amputees to allow them to fulfill what seem to be impossible dreams. Xia shares a casual moment with his son over a cup of hot tea.